Is it Safe to go Grain-Free During Pregnancy? One of my specialties is prenatal nutrition and gestational diabetes, and I have heard so much controversy on whether or not it’s safe to ditch the wheat (or grains altogether) during pregnancy. Personally, I believe it is (and many times offers benefits) as long as you are eating a real food, nutrient-dense diet. I’m sure you agree, but in my field (I’m a registered dietitian and certified diabetes educator), this is still a hotly debated topic. I’m one of the first healthcare professionals to endorse a lower carb diet during pregnancy in my book, Real Food for Gestational Diabetes. I believe every woman wants to do the best thing for her baby, so when you hear from a conventional doctor or nutritionist that you must eat “healthy” whole grains to get enough nutrients, it’s no wonder there’s so much confusion. How will you get enough fiber? Where will you get your folate? You won’t get enough B-vitamins! What about iron? Cereal is a great source of iron! Where will you get your carbohydrates? Going low-carb is unsafe in pregnancy! So here’s how to handle the nay-sayers, point by point. I’m not sure where this myth that grains are the best or only source of fiber came from. I blame it on clever food marketing. There are so many non-grain sources of fiber. Here’s a taste: chia seeds, flax seeds, avocados (really! ), coconut products (made with coconut meat, like coconut flour and shredded coconut), nuts, most vegetables, and most fruit (especially berries). Many of these foods have more fiber, especially compared to their carbohydrate content, than grains do. For example, a “good” whole grain bread might have 3-5g of fiber per slice. You’ll get 5 grams of fiber in just 2 tablespoons of coconut flour, ⅓ of an avocado, 1 tablespoon of chia seeds, or ¾ cup raspberries. States and these products are widely distributed through programs like Women Infants and Children (WIC) to families that are food insecure. While that program and its nutrition policies aren’t perfect, they do provide a valuable service to families that otherwise would not be able to obtain enough food. In other words, it’s better than nothing. But for those of us who have the luxury to eat a real food diet, there are plenty of other sources of folate. The word folate literally derives from the word “foliage”, meaning plants. It’s no surprise that green, leafy vegetables are an excellent source of folate. Same goes for animals that eat plants, like the meat and milk from grass-fed cows and eggs from pasture-raised chickens. Foods like nuts and seeds are also a good source. This is just silly. B-vitamins are found in so many other foods! Liver, for example, is the richest known food source of B-vitamins (as are many organ meats). In fact, organ meats are at least 10-fold more concentrated in nutrients than muscle meats, like steak or chicken breasts. Other foods that contain B-vitamins in abundance are eggs (mainly in the yolks), meat, fish, poultry, dairy products, vegetables, nuts, and seeds. Cereal is only a “great” source of iron because it’s been fortified. But much like the issue with folic acid I outlined above, the type of iron used to fortify cereals isn’t ideal. In the case of fortified iron, they usually use what’s called “ferrous sulfate”, which is really difficult for the body to absorb. That means most of it gets flushed down the toilet. Plus, grains are notoriously high in a compound called phytic acid, which inhibits mineral absorption, including iron. Now, if you soak, sprout, or ferment your whole grains before consuming, you’ll absorb significantly more iron from them (i.e. the iron in a whole grain, naturally fermented sourdough bread is more easily absorbed than regular whole grain bread [ref 2]). Even still, the most absorbable form of iron is called “heme iron” and is found in animal foods, like meat (especially organ meats), poultry, fish/seafood, and eggs. Non-grain, plant sources of iron include dark green vegetables, molasses and some dried fruit (although these are not ideal because they are very high in sugar) and certain nuts, like pumpkin seeds. Keep in mind that you can boost your absorption of plant-sourced iron by eating them with foods high in acid (like vinegar) or vitamin C (like citrus, broccoli, strawberries, or bell peppers). You can also “add” iron to your food by cooking in cast iron pans. Where will you get your carbohydrates? Grains are definitely not the only source of carbohydrates, though for many people, grains may make up the bulk of their carb intake. You’ll also find carbohydrates in dairy products (like milk and yogurt), fruit, starchy vegetables (like potatoes, sweet potatoes, winter squash, and peas), and in smaller quantities in nuts, seeds, and non-starchy vegetables (such as kale, lettuce, celery, asparagus, etc. )… and of course, anything sweet. Unless you are only eating meat and pure fat, you’re eating some carbohydrates. If cutting out (or cutting back on) grains reduces your carbohydrate intake during pregnancy, it’s likely a good thing! Studies have shown slightly lower carb diets based on foods with a lower glycemic index can prevent blood sugar issues (and for women with gestational diabetes, can reduce the chances that you’ll need insulin by up to 50% [ref 3]). The safety of a lower carbohydrate, real food diet for pregnancy and for managing gestational diabetes is something I cover extensively in my book, Real Food for Gestational Diabetes. If you’re new to eating grain-free, one of the common side effects is weight loss. This is typically because reducing your grain intake can reduce your total carbohydrate or calorie intake. Of course, weight loss is not always desirable during pregnancy. If you started your pregnancy at a healthy weight (or were underweight preconception), are physically active, and/or do not have blood sugar problems, you may want to replace the carbohydrates that you would be getting from grains with other foods, such as starchy vegetables (like potatoes, sweet potatoes, and winter squash) or fruit. If you choose to consume dairy, you’ll also find carbohydrates in milk and yogurt. If you started your pregnancy at a higher weight and your healthcare provider has advised you to watch your weight gain during pregnancy – or- if you have blood sugar problems, like insulin resistance or gestational diabetes, you may benefit from maintaining a lower carbohydrate intake. Just be sure you’re eating enough calories from other real foods, like meat, poultry, fish, eggs, nuts, seeds, avocados, fats (like grass-fed butter, olive oil, etc. ), non-starchy vegetables, and berries (or other fruit in moderation). You may also consider gradually decreasing the quantity of grains (or carbohydrates) you consume rather than quitting “cold turkey,” so you allow your body time to adapt. Rest assured, you don’t need grains (and especially not processed, fortified cereals and breads) to meet your prenatal nutrient needs. By ditching grains (or eating less of them), you might actually find yourself eating less junk food, like cakes, cookies, crackers, and noodles, leaving more room for nutrient-dense foods that nourish your growing baby. 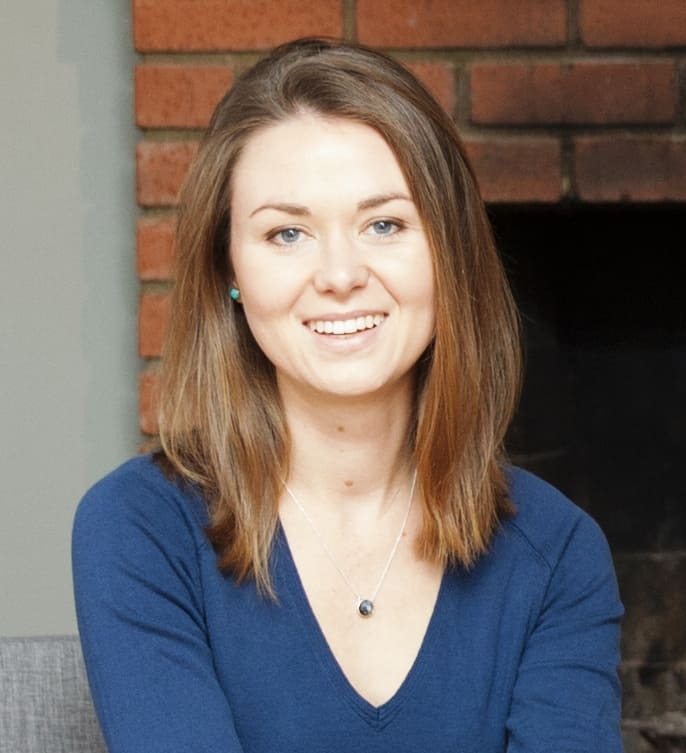 Lily Nichols, RDN, CDE, CLT is one of the country’s most sought after ‘real food for pregnancy’ experts whose approach to nutrition embraces real food, integrative medicine, and mindful eating. You can learn more about Lily by visiting her popular blog, www.PilatesNutritionist.com and get her book, Real Food for Gestational Diabetes (and snag an exclusive FREE guide on managing gestational diabetes), at www.realfoodforGD.com . 1. Greenberg, James A, and Stacey J Bell. “Multivitamin supplementation during pregnancy: emphasis on folic acid and l-methylfolate.” Reviews in Obstetrics and Gynecology 4.3-4 (2011): 126. 2. Brune, Mats et al. “Iron absorption from bread in humans: inhibiting effects of cereal fiber, phytate and inositol phosphates with different numbers of phosphate groups.” The Journal of nutrition 122.3 (1992): 442-449. 3. Moses, Robert G et al. “Can a low–glycemic index diet reduce the need for insulin in gestational diabetes mellitus? A randomized trial.” Diabetes Care 32.6 (2009): 996-1000. 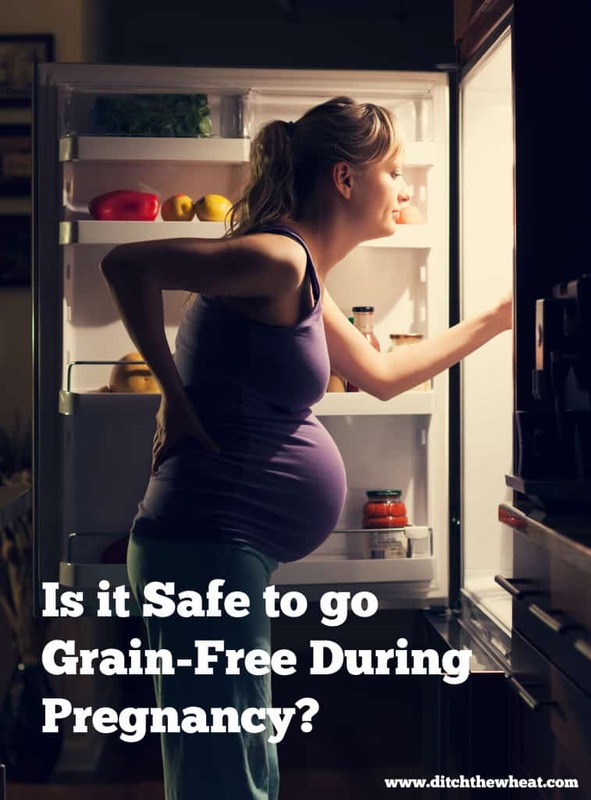 10 Responses to Is it Safe to go Grain-Free During Pregnancy? I love how thorough you were with writing this article and touching on many of the key questions women have about pregnancy and nutrition! Thanks so much for writing this for us!! Thanks for posting this! I have PCOS and have been grain free for a little over a year (amazing for weight loss and now maintenance, not to mention energy levels). Going to start trying to conceive soon and searching high and low for research as to weather it’s safe to be completely grain free during pregnancy. I’m contemplating adding in a monthly serving of quinoa and maybe a monthly serving of one other grain only while pregnant, but otherwise remain 100% strict. My concerns are less about not getting adequate nutrition (thank you for the great reminders above though) and more about inadvertently creating a child with a gluten or other grain-related sensitivities. Any thoughts? Bravo!! Additionally, the latest reports/research on diet during pregnancy shows BETTER pregnancy outcomes is related to higher vegetable intakes!! Plenty of great fiber (more than all those “whole-wheat” pieces of cardboard) and sugar-loaded fruits ever thought of having. Thank you for this! I almost had an argument with a naturopath when talking about eating low carb yesterday. “You need grains to be healthy!” even after I said I eat chia and flax “porridge” everyday for breakfast and heaps of leafy greens. I’m shocked a naturopathic doctor would say that! Being well-nourished during pregnancy is vital to yours and your baby’s health. That being said, I, like you, have heard of people not wanting to go grain free for fear of not getting proper nutrients like iron and protein; however, like you, I also agree that grain isn’t always the best way to obtain these nutrients even when you’re not pregnant. If you eat healthily and find other sources for these chemicals and such. Either way, the most important thing to remember is to consult your gynecologist and obstetrician before changing your diet so drastically, in case it could lead to unforeseen complications. Other than that, your pregnancy diet is up to you, as long as you stay healthy! Oh hey, I remember the obstetrician talking to my wife about some of these tips for getting fiber. At the moment she’s 2 weeks pregnant but yet we’ve been trying to find some simple tips of obstetrics to guide her on having a safe and quick pregnancy. Since this is her first pregnancy I even getting nervous. I’m a bit baffled about people thinking going grain free being a bad thing at any time! I have celiac disease, so I have to be mostly grain free anyway. I did a near paleo diet during the first few months of my pregnancy, and, even though I had morning sickness, I’d also never felt more healthy! I will definitely be trying to maintain my grain free diet. Thank you so much for writing this and for advocating for good nutrition during pregnancy. I was so disappointed during my last pregnancy with the poor information my doctors practice handed out to pregnant woman, and their lack of understanding of blood sugar issues and GD. Before conceiving and during pregnancy I began to eat more healthy fats, higher protein ( eggs, organic grassfed whole milk, organic plain yogurt, and organic meats) tons of veggies, and 3-4 fruits daily. I limited grains to a few low glycemic servings a week, and cut out all processed fruit juices, refined sugars, artificial sweeteners, and processed foods. I drank bone broth daily, and took a whole foods organic prenatal vitamin, D3 drops, a probiotic, and fish oil daily. I felt great and had a healthy pregnancy. I questioned taking the glucose tests for GD because of the diet I kept and I was concerned over getting a false positive because I never consume that much sugar at one time, and I don’t consume any sugars that aren’t naturally occurring in fruits and vegetables, and I don’t put anything into my body that has supposedly food grade dye in it. My doctor insisted I must take it as its their normal protocol. Needless to say I become very ill during the test. I felt weak, shaky nauseated, dizzy, overheated. I failed the test by a few points and they required I take the three hour test. It was the worst three hours of my life. I felt so horrible and I was worried about what that drink was doing to my body and to my baby. I did fail as I expected to, by a few points. They send me to the local diabetes clinic, where I had,to,pay a ridiculous amount of money to be seen by the nutritionist there. I have done my nutritional research and sadly this lady’s knowledge was horrible. The pamphlet she gave out said to eat 6-8 servings of grains a Day and limit fruits to just one serving, and vegetables to a cup and half a day, drink skim milk, and low fat yogurt with Splenda. I was encouraged to drink glucerna shakes. Needless to say, I did not follow this advice at all and stuck with what I knew was best for me and m y baby. I tested my blood sugar levels religiously and. I never once had a high reading the entire pregnancy. At the doctors check ups I’d show them my sugar level records and I’d smile and nod and say yes, I was following their advice and plan because that’s all they wanted to hear. I was over weight at the start of pregnancy and I gained exactly 16 lbs by my due date. I delivered one week overdue to a perfect 6.5 oz baby, who was alert and strong from day one. She is now a toddler and has only had one runny nose since birth, met all milestones early, has excellent coordination, a fantastic memory, advanced speech and language development, and is now sounding out words at 2 months shy of 3 years old. I am grateful I had common sense and followed my gut to stick to my healthy eating habits during pregnancy instead of following the advice of others. I desperately wish the health care industry would would stop pushing the FDA food pyramid and realize for themselves that although well meaning, they are misinformed. 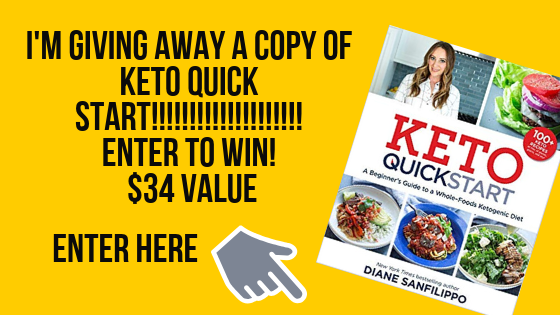 great article helped me a lot, thank you, I am pregnant and was looking for food tips and acheiu your article ..